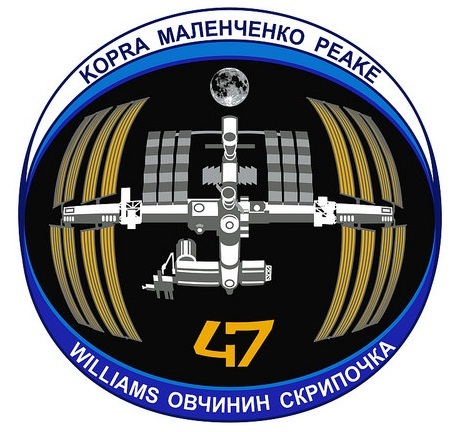 Named S.S. Rick Husband in honor of the fallen Columbia Commander, the spacecraft is set for an eight-day free flight dedicated to the SAFFIRE-I In-Space Fire Experiment conducted later on Tuesday and the release of five small satellites expected next week. The mission began on March 23 with a liftoff atop an Atlas V rocket and was off to a bumpy start when the Atlas V encountered a problem with a Mixture Ratio Valve on its first stage resulting in a premature shutdown of the powerful RD-180 engine. Lifting the 7,500-Kilogram Cygnus, Atlas had just enough fuel margin to make up for the performance shortfall by extending the burn of its trusted Centaur upper stage that saved the day and boosted Cygnus to the expected orbit. 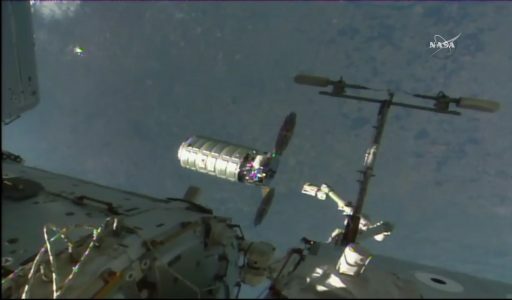 From this point on, the mission proceeded without any further trouble as Cygnus raised its orbit as part of a three-day link-up with ISS, culminating in the robotic capture of the spacecraft on March 26. 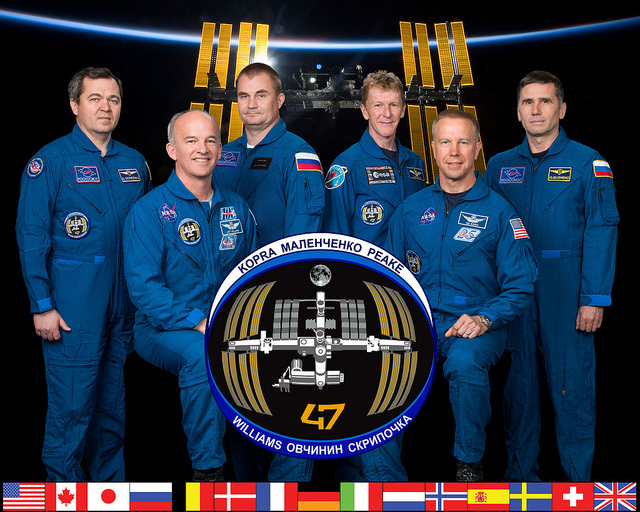 Berthed to the Earth-facing port of the Node 1 module, Cygnus was opened for business one day after its arrival, marking the start of two months of cargo operations. Cygnus spent a total of 80 days attached to ISS, 20 days longer than specified in NASA’s requirements for Commercial Resupply Services vehicles. 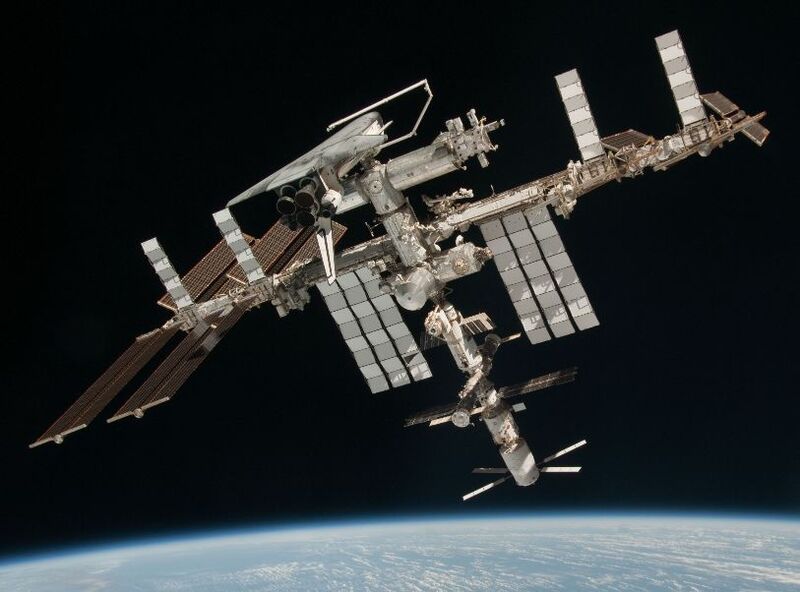 Arriving at ISS, Cygnus delivered food and supplies for the six crew members in orbit, maintenance items to keep the various systems on Station up and running, as well as dozens of experiments covering a number of scientific fields. 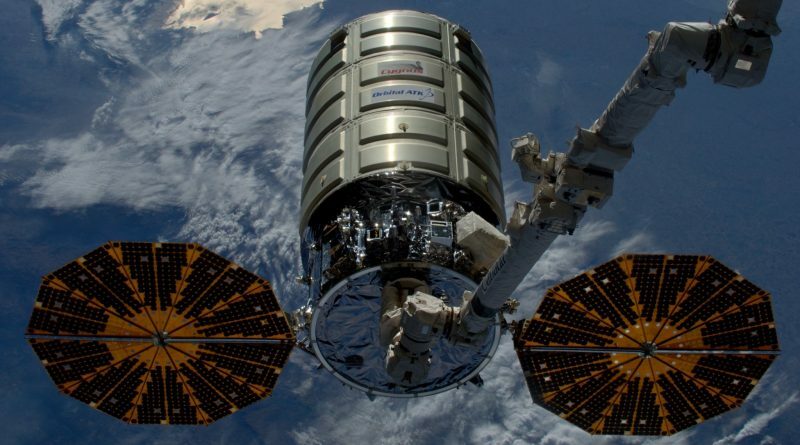 Science delivered by Cygnus looks at how regolith – the lifeless soil found on asteroids and comets – behaves in microgravity, whether Gecko Gripping technology may be beneficial in spaceflight applications, and how advanced heat exchangers perform in the space environment. 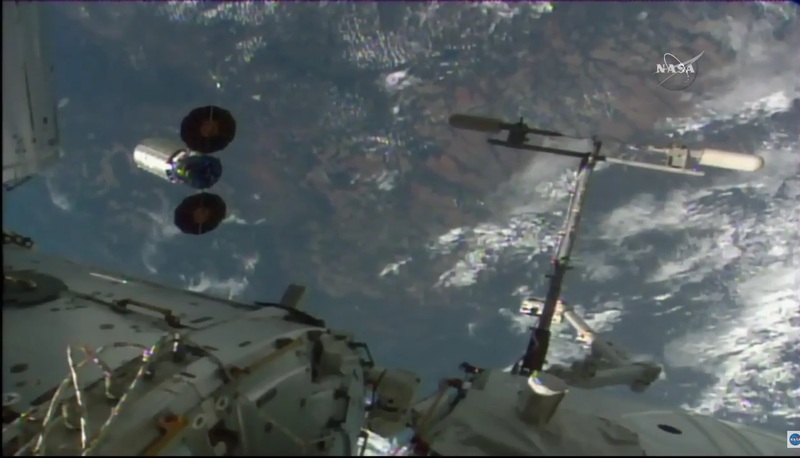 Cygnus also delivered a camera tracking the optical signatures of meteors, a new miniature exercise system for the crew and the first operational 3D Printer for ISS. 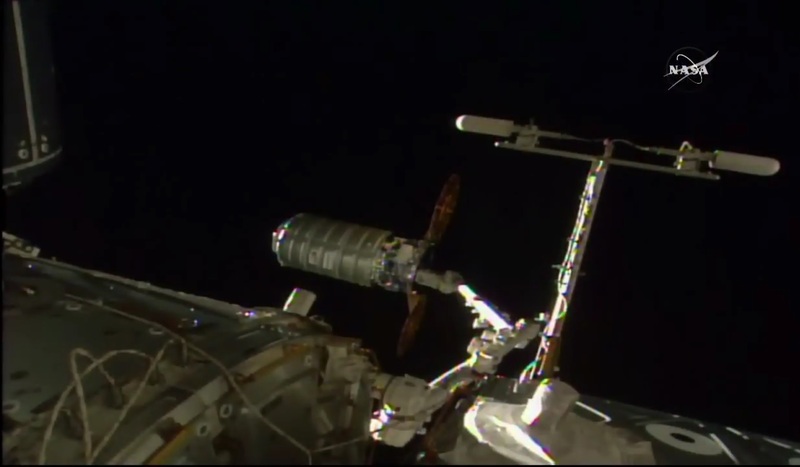 Approaching the end of its stay, Cygnus was loaded with 1,855 Kilograms of trash and no-longer-needed items and the spacecraft was buttoned up by removing lighting fixtures and hand rails. Once the Cygnus hatch was closed, the crew installed equipment and removed jumpers in the vestibule between ISS and Cygnus before closing the Node 1 hatch and depressurizing the area between the two spacecraft. 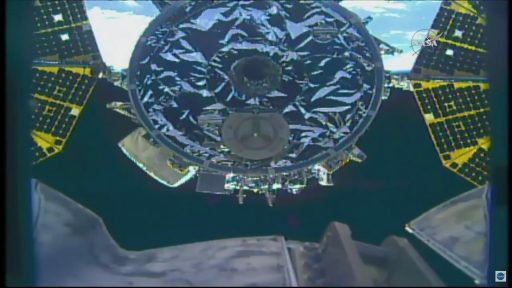 Leak checks were performed on Tuesday leading up to the demating of 16 bolts that held the Common Berthing Mechanism interfaces tightly together followed by the release of capture latches to hand control of Cygnus to Canadarm2 that had grappled the Video and Data Grapple Fixture of the spacecraft in the days ahead. ROBO controllers on the ground commanded the robotic arm through a series of maneuvers to position the spacecraft for release, around ten meters from the modules of ISS. In its release position, Cygnus re-activated its navigation and control systems and transitioned to internal power after receiving power from the robotic arm. Prior to release, the craft’s control system was switched to Free Drift to prevent any thruster firings during the release sequence. With the 18-meter long arm in position, Tim Kopra – in charge of robotics – and Tim Peake – handling communications and commanding of the Cygnus spacecraft, were given the GO to begin a series of steps to prepare for the release of the spacecraft. At Mission Control Houston and Orbital’s Mission Control Center in Dulles, controllers were polled and gave the final GO for release which was relayed to the crew as the final call from the ground. For the release, capture latches and snares in Canadarm’s Latching End Effector were opened and the LEE was pulled away from Cygnus’ Power & Video Grapple Fixture. Release occurred at 13:30 UTC while the complex was flying high above Paraguay, South America. Canadarm2 retreated to a standoff distance of 1.5 meters and the spacecraft recovered from Free Drift through a planned abort command sent to the vehicle upon which Cygnus initiated a two-minute departure maneuver. 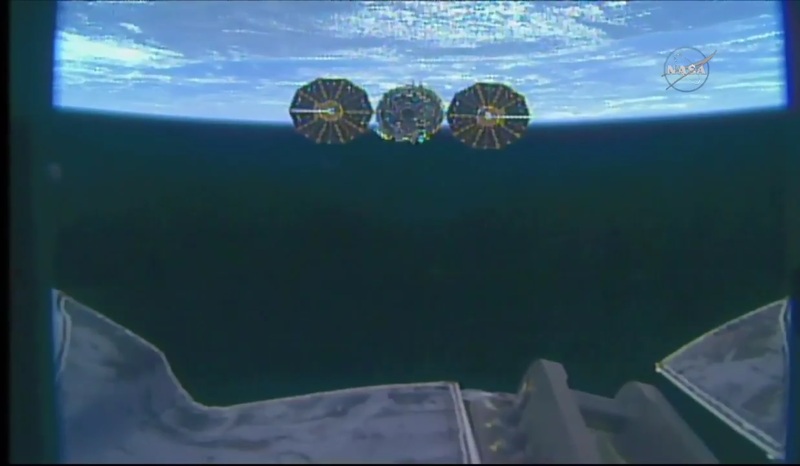 Firing its reaction control system thrusters, Cygnus executed a pre-programmed posigrade maneuver to begin a slow departure, pulling out in front of the Space Station, departing the Keep Out Sphere within a few minutes of release. The vehicle exited the Approach Ellipsoid just before 14 UTC, marking the end of integrated operations between the NASA Mission Control Center and Orbital’s Cygnus Mission Control Center in Dulles, Virginia. Leaving the comforts of ISS behind, Cygnus is set to enter an independent orbit for eight days of free flight. 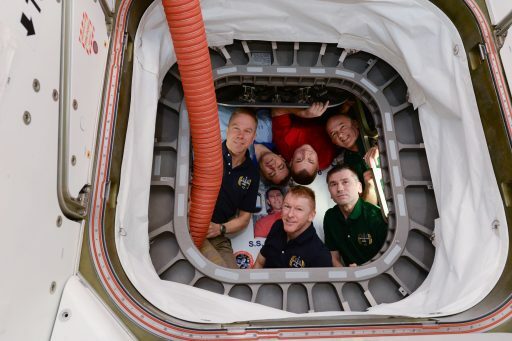 Five hours after its release from ISS, the spacecraft is set for the SAFFIRE-I Combustion Experiment – the first in-space fire experiment involving a fire on a larger scale. Although the fire is contained within an experiment enclosure and risk of damage to Cygnus is extremely low, SAFFIRE is performed after the spacecraft is safely on its way so that no possibility of harm to ISS exists should anything go majorly wrong during the test. 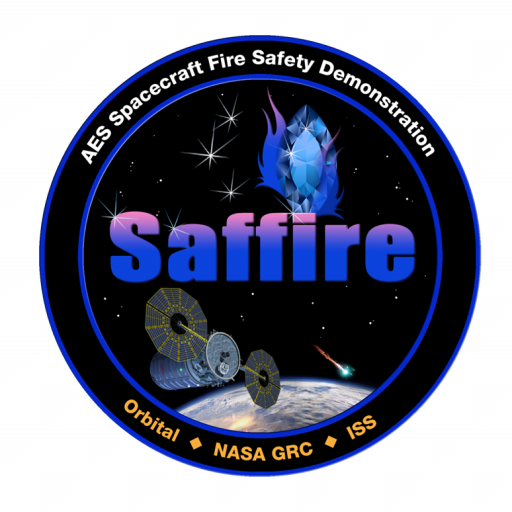 The objective of SAFFIRE-I is to study flame growth, temperatures and oxygen use to assess how microgravity and limited oxygen affect the properties of a fire. 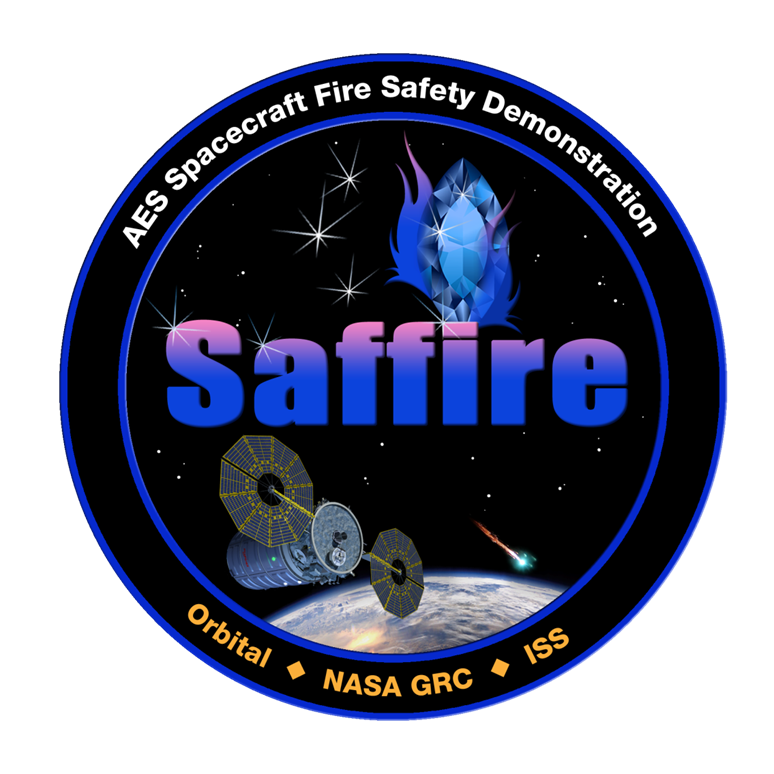 Data from SAFFIRE will be used to improve fire safety on future crewed spacecraft and help NASA in choosing materials for future vehicles. The SAFFIRE experiment package consists of a flow duct and an adjacent avionics bay housing various sensors and associated power and data systems. Atop the flow duct is a fan creating air flow through the system and on the bottom is a grid serving as a flow straightener. The SAFFIRE I and III experiments will use a 40-centimeter wide and 94 centimeter long sample of 75% cotton and 25% fiberglass blend burned at two different flow speeds. SAFFIRE II tests nine different materials. 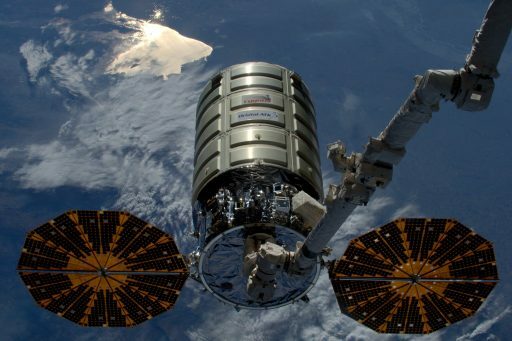 The data collected during the combustion experiment will be downlinked to the ground over a period of days, requiring Cygnus to remain in orbit for another week. On June 20, an external CubeSat Deployer will release five Lemur-2 satellites operated by Spire Global, to establish a constellation of small, inexpensive satellites in operation for a number of purposes such as Earth observation, maritime monitoring, communications, meteorology and science. The Lemur-2 satellites carry two different payloads, SENSE, featuring an Automatic Identification System receiver to collect ship ID, position and speed data, and the STRATOS payload, making use of GPS occultation measurements to deliver temperature, pressure and humidity profiles of Earth’s atmosphere for application in operational meteorology. Cygnus will fire its main engine on June 22 for its deorbit burn, setting up for the spacecraft’s fiery demise over the Pacific Ocean.